Coworking space and Virtual offices also available. New to North York, this flagship location starts with a designer workspace, killer coffee, networking lunches, smiling receptionists, and meeting rooms on demand! At this brand new North York Business Center you have access to the business club for your work. You become a part of a community of like-minded entrepreneurs. You can join as many business and after work events as you like. 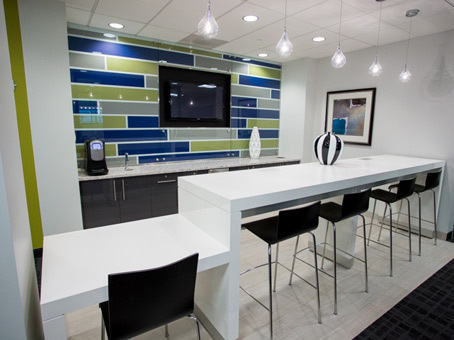 You have a serviced office and high quality finishes as well as personal service from the North York Workspace team in the heart of North York.